Founded in 2001, Kittle Design and Construction brings experience and quality to commercial construcion. Founded in 2001, Kittle Design and Construction brings experience and quality to commercial construction. We have a wide range of skills to benefit your construction project. Whether you are planning a new building or remodel, we work to meet your goals. Our firm strives to build successful relationships with clients. We are hands-on builders that have completed a large range of projects. Kittle Design and Construction can be counted on for emergency repairs or service in critical and high security areas. We appreciate our customers, always understanding that any contract or project requires respect, punctuality, and detail. We are proud that most of our work is from repeat customers and that our reputation is respected enough in the Tucson building community to have achieved the 2010 Cornerstone Building Foundation General Contractor of the Year award for projects under $2 million. 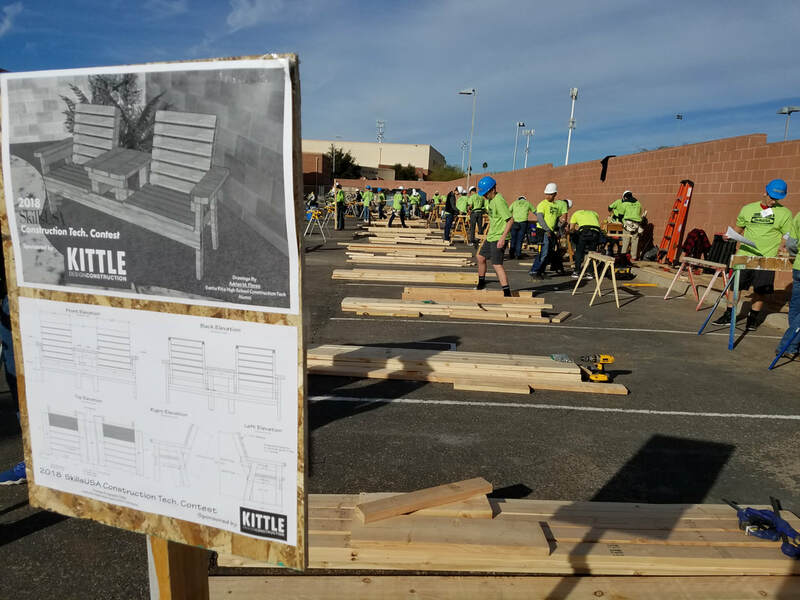 Kittle sponsored the wood framing portion of the 2018 SkillsUSA competition. Southern Arizona high school students worked in teams to build patio seats. The students received valuable feedback and encouragement for possible careers in construction.